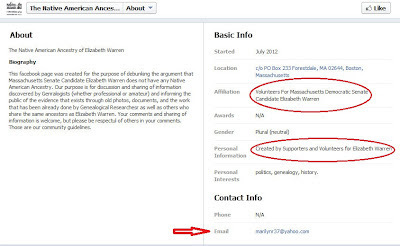 An excerpt from one of the many emails from Marilyn Ruhl, the person who manages "The Native American Ancestors of Elizabeth Warren" Facebook page and who has publicly proclaimed she is a volunteer with the Elizabeth Warren Campaign. "Don't bother coming back to Massachusetts......because I live in Mass. We don't want you and your low-class trashy redneck followers up here. Massachusetts is not REDNECK country...stay back in Missouri...where you belong.. The Cherokees up here in Mass. 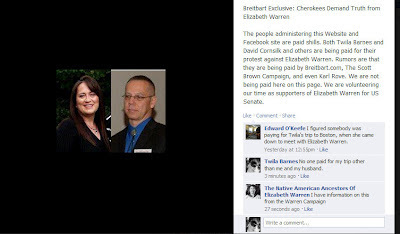 are supporting Warren...not Cosmo Guy.....This is a heavily Democratic state....stay back in Missouri where you belong..
Howie Carr is a POS and is hated by most people here in Mass......You aren't doing anything positive to improve your reputation by going on his radio show....."
Reporting me to the Warren Campaign and the MA Democratic Party? Take Us Down At the Knees If We Keep Researching? 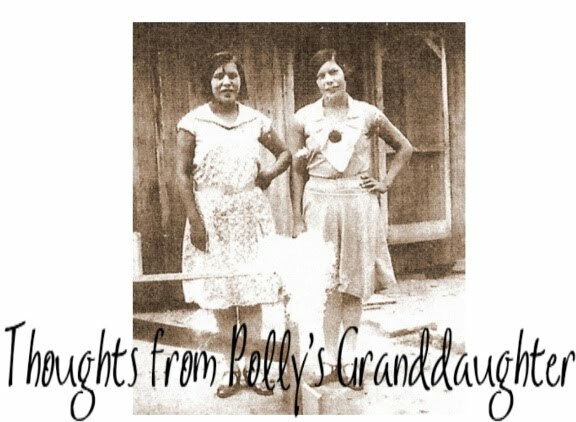 Calling "Grandma Polly" a Fake? 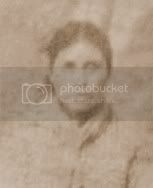 This shows how VERY bad they are at Cherokee genealogy. 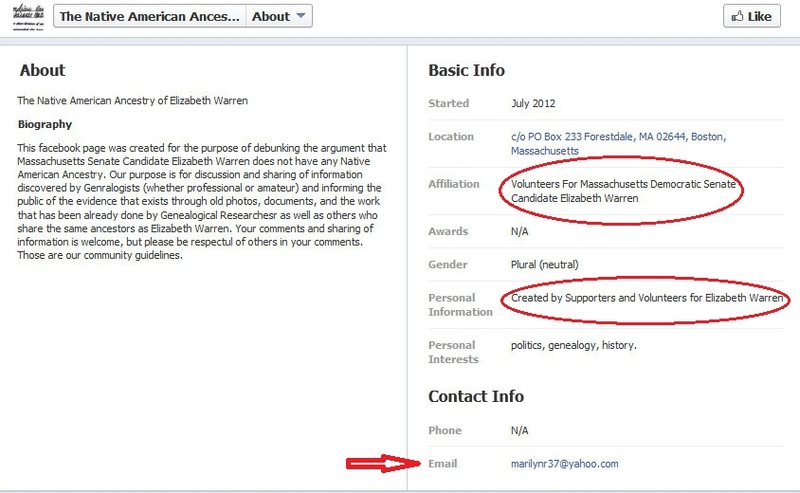 proof that liz warren and her ilk are simply depraved opportunists who will do or say anything- no matter how hateful, racist, sexist or untrue-in an attempt to cover up their own exploitative and deplorable behaviors. a very very white woman who is very very rich using an american indian identity so shamelessly( so entitled better says it), called out for it and rightly so by actual cherokee women devolving into grotesque name calling by proxy. face it- as hateful as that is- it's all they have. 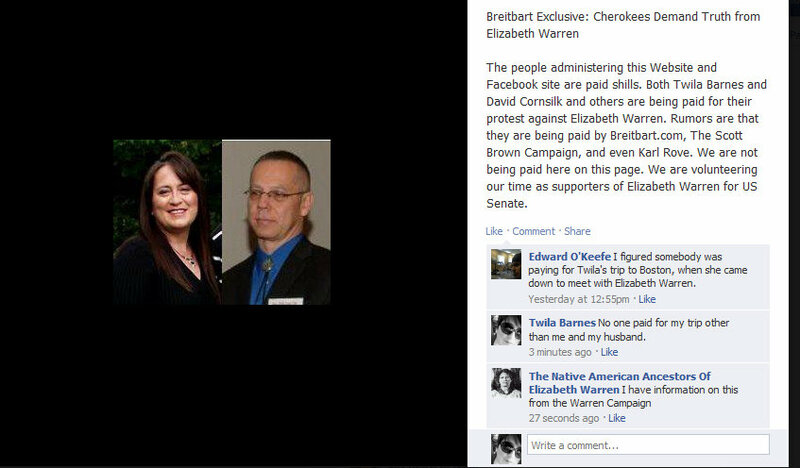 they do not have truth on their side- you do. i am in MA and we'd love to have you here- and thank you for coming up last time. 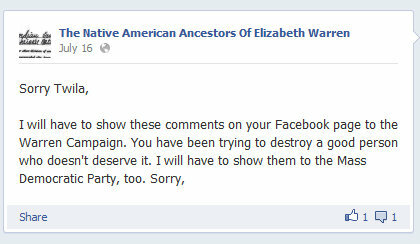 i vote and i appreciate your effort to bravely confront this woman (and the DNC behind her) perpetrating a fraud against not only native americans but on the people of massachusetts. they are the trash.